Edward Schumacher-Matos is NPR's latest and I hope, not last Ombudsman. His recent report concerns a multi-part investigative series on the state of foster care among the Native American community in South Dakota. The series aired in 2011. It won two prestigious awards: a Peabody and a Robert F. Kennedy. Both are considered the Pulitzers of broadcast journalism. But Schumacher-Matos disagreed. Strongly. His 80 page (!) report on the series (which itself took 22 months to complete!) condemns NPR for even allowing this series on the air. In brief, he criticizes the series for five egregious faults: 1. the series made allegations about the foster care system without offering proof. 2. the tone of the reporting was unfair. 3. the series contained factual errors. 4. the reporting was incomplete and 5. the series did not include a response from state officials. NPR senior management responded quickly and strongly: Senior VP of News Margaret Low Smith and NPR Content VP Kinsey Wilson rejected the ombudsman's report, while agreeing that aspects of the series were indeed flawed. The response would not do a point-by-point refutation of the ombudsman's report, but maintained that NPR "stood by its reporting." The complexities here abound: first the report was extensive as was the ombudsman's report. On the NPR website, listeners' comments are equally intense and wide-ranging. Definitely worth reading. My own take on this serious clash of perspectives is that the Ombudsman's report is important and that NPR management's response is surprising - to say the least. In my time as NPR's (first) Ombudsman (2000-2006), I reported via the NPR website my conclusions on hundred of issues, whether NPR had been right, wrong and sometimes both. Likewise with NPR's critics: they could also be right and wrong about many powerful and emotional issues. From time to time, NPR management disagreed with some of my conclusions. But never in as public a manner as they have in this case. I understood that management had the right to agree or disagree with me. They also had the right to ignore me. That was our agreement because as ombudsman, I had no managerial authority to implement any of my own recommendations. I leave it to others to determine who is right in this latest eruption. Personally, I have a lot of respect for Edward's integrity. As fellow members of the Organization of News Ombudsmen, I have come to appreciate Edward's deep judgment and extensive journalistic abilities. As well, I continue to be an admirer and an advocate for US public radio generally and NPR News in particular. NPR remains for me, the gold standard in public broadcasting. And NPR - as good as it is - still will benefit from having an Ombudsman. So it was with some surprise that I read management's denunciation of its own ombudsman. What I believe may have caused this is likely found in recent NPR history and the cultural context of the system of awards in journalism. As many may recall, NPR's previous head of news, Ellen Weiss was forced to resign along with NPR's president, Vivian Schiller because of the Juan Williams debacle. Williams - an NPR commentator who also appeared on Fox News, was fired by Weiss over comments he made on TV. Weiss was fired by Schiller who was then forced out by the NPR board. 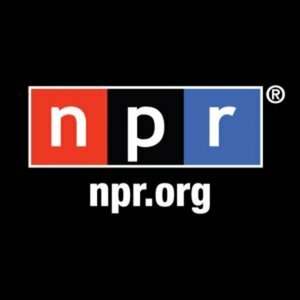 NPR was punked by a right-wing advocacy group who taped the intemperate remarks of NPR's chief fundraiser who appeared to denounce the Tea Party in private remarks that were soon made public. (Thank you youtube). In short, a public relations mess of extraordinary proportions. NPR management has been eager to repair the damage by bringing in a new president, Gary Knell who has calmed the waters and helped restore NPR's reputation and managerial competence. So the latest ombudsman's report and the management reply may be in part, a response those bad old days that many would prefer to forget. The other more troubling aspect may be the fact that NPR actually won two of the most important journalistic awards available for this series. As the ombudsman points out, the failures of the series (which management has in part acknowledged were indeed failures), calls into question whether NPR deserved these awards. Even worse, will the Peabody and Kennedy awards committees now demand that NPR return these prizes? Or should NPR do the right thing and return them? But to do that would be to confirm the Ombudsman's conclusions. At a time when reputations are on the line, there seems to be little inclination to make amends. What a dilemma! News organizations in general are obsessed with awards. At a time when public admiration for journalists and journalism continues to sink, media organization are convinced that somebody out there must love them. Indeed, journalists give themselves awards more than any other professional group - an indication of a high level of professional anxiety. My sense is that awards are more about giving the journalists some props while ignoring public criticism. Has the quest for these awards has damaged the media's ability to do responsible journalism? I believe it has and the NPR series may now be a perfect example of that deformation. Thanks for taking on this episode. I think there's right and wrong on both sides--NPR and the ombudsman. Mostly, though, I think NPR news needs to acknowledge that for all its growth and for all the important work the network does, it is still stretched thin when it comes to investigative and enterprising journalism. If I was in charge of NPR News, I'd be doing some very deep soul-searching about the awards issue--though as you pointed out, returning awards is an admission of "guilt." Still...I'm inclined to take the high ground on anything that even remotely threatens news credible, trust relationships or public perception about our work. It's a tough one. Thanks Ellen. It is a tough one, but for obvious reasons, I think that public media need to lean toward accountability over short(er) term reputation defensiveness. Whether the Ombudsman should have continued his investigation while the reporter was trying to do more on this story is also problematic. But ultimately, ESM had to go where his story took him. That's the nature of the job. If he had held back, the perception of giving NPR a pass would have also been bad. The least worst options were at play here. As for giving back the awards, that also may be the lesser of two unpleasant prospects since NPR's credibility is at stake.